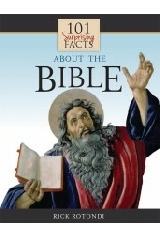 Recounts the story of how the Bible was written, translated, published, and proclaimed. Join Rick Rotondi as he explores the mysteries of the Bible, unpacks its prophecies, and examines how this ancient text is a living word—a rule of life and a letter from God addressed personally to you. Now, in 25 Ways to Become a Saint, you will find more than two dozen ways to achieve heaven. There’s no “one simple trick,” but it can be done and the methods in this little book will help you love God more, get to heaven, and Become a Saint. The antidote to the anti-Mary is, of course, Mary, the Mother of God, known widely as the most powerful woman in the world and the source of the belief that women ought to be treated with dignity. A practical guide to vocational discernment for Catholic teens and young adults, combines the teachings of the Scriptures, Church documents, the Church Fathers, and the saints—and a healthy dose of good old common sense—into one handy “How to” guide on finding God’s will for you. A new edition of Dr. Alan Schreck’s landmark book The Essential Catholic Catechism, which was one of the most prominent books in the New Evangelization”publishing boom, through which many Catholics, both converts and cradle Catholics alike, learned the Faith. Erdő, eminent for his intelligence and learning, was chosen by Pope Francis to be the Relator General at the 2014 and 2015 Synods of Bishops. He was also twice elected president of the Council of the Episcopal Conferences of Europe, making him, in a sense, the leading bishop of Europe. In this book, the cardinal speaks forthrightly about the need to “guard the flame” of the traditional Christian faith in the face of all temptations and obstacles. In the end, the book is a courageous call to remain faithful to the faith handed down from the Apostles, whatever the cost. This volume is destined to become a much-loved companion volume for Mass and Adoration. Combining the best of tradition and modernity, this beautiful, deluxe volume will help you enter into the prayers of the Mass more fully and, thus, derive more benefit from not only the Holy Sacrifice, but from your Holy Hours before the Blessed Sacrament, and your personal prayer time as well. Rev. Fr. Matthew Kauth, S.T.D. You will find comfort within these pages as you read the words of these heroic pastors of souls including: St Ambrose of Milan, St Augustine, St John Chrysostom, St Edmund Campion, Pope St John Paul II, and others. Enter into the minds and thoughts of some of the bravest, most eloquent, homilists the Church has produced. Dante Aligheri’s Divine Comedy, chock-full as it is of history and politics, is a masterpiece of spiritual writing. The most famous of his three volumes is the Inferno, an account of Dante’s journey through the underworld, where he sees the horror of sin firsthand. Father Paul Pearson will educate and entertain you, but most importantly help you avoid the inferno! St. Louis de Montfort’s Traditional Method of Total Consecration to Jesus through Mary is the time-honored, saint-tested way to grow to closer to Our Lord.